The Cooldown:04 Mountain bikers and runners unite! The Cooldown:04 is all about endurance and OCR from the people involved on both sides. Each week we bring you news and stories from around the obstacle racing world and beyond. 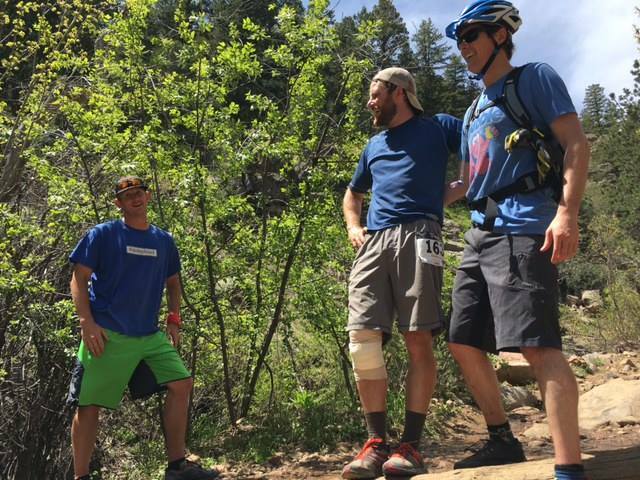 This week we bring you behind the scenes at a Colorado event that bonded friendly foes on the trail. Then jump into a case for unplugging from technology after a recent conversation. We congratulate a race director for bringing back a unique event in Arizona. Finally, we bring you tips to help improve your downhill running after a skinned knee bloody weekend on the trails. All this and more on The Cooldown:04. An event in Colorado that bonded some friendly foes on the trail. The case for unplugging from technology and the benefits it can have for us all. Congratulations to a race director in Arizona for bringing back a unique event. A session to improve your downhill running. Inspired by lots of blood on a trail run this weekend. Enjoy The Cooldown, produced by Athlete On Fire. Like this episode be sure to tune in each week for more news and stories from inside and out of the obstacle racing and endurance world. Find Athlete on Fire on iTunes and so you won't miss an episode!